How Wrap-Around Warehouse Pallet Labels Improve Inventory Tracking | ID Label Inc.
Barcoded pallet labels — also known as license plate numbers or LPNs — are vital to the accurate tracking of inventory in a warehouse. Married with the proper software, each label contains pertinent information about the content of a pallet or case, including where in the warehouse it is stored. Wrap-around pallet labels are highly visible and easy to scan, which reduces errors and improves accurate inventory management. A "wrap-around" LPN -- a dual barcode label that wraps around a corner -- is a popular solution for tracking pallet loads throughout a DC. 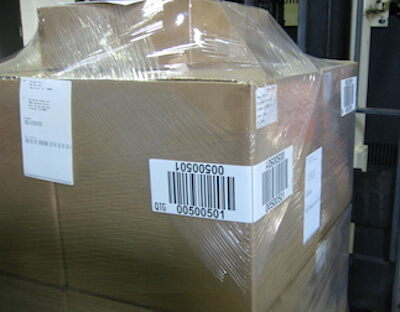 Full pallet loads are often shrink-wrapped to secure individual cases to the pallet. These pallets are then typically stored in a rack bay location (also identified via a barcode label) until ready to ship. 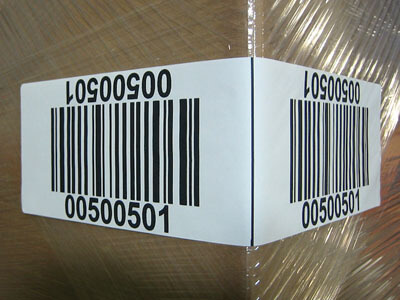 A “wrap-around” LPN — a dual barcode label that wraps around a corner — is a popular solution for tracking these pallet loads throughout a DC. She highlighted three primary benefits. Highly Visible – Wrap-around labels are visible from two directions, making it easy for workers to quickly locate them. Two labels per pallet ensures that each side contains a scannable label. Accurate Scans – The labels are large and easy to spot, making them easy to scan. Large human-readable numbers or letters typically accompany each label for improved verification and accuracy. 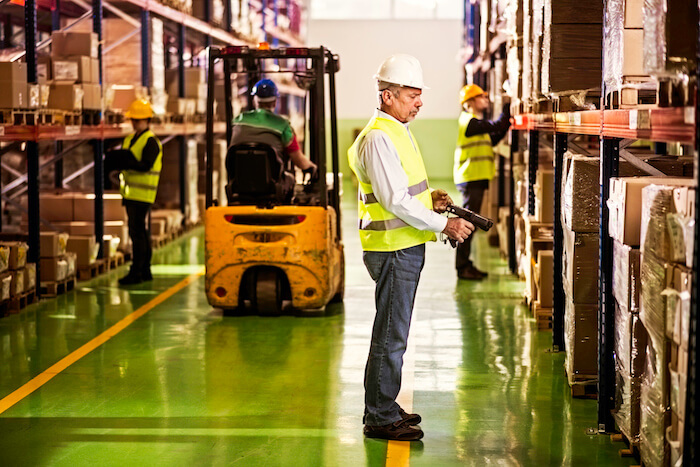 Improved Inventory Tracking and Management – Wrap-around barcode labels support the needs of today’s smart warehouse and the overall drive for efficiency, speed, automation and accuracy. This means warehouse and distribution center managers can focus on facility operations, and not worry about all the hassles of in-house barcode printing. Do I have enough supplies and ribbons on hand or will we run out during a critical time? How come my hardware and maintenance costs are so high? What happens when we encounter computer or printer problems? What if my workers accidentally print duplicate numbers again? Custom colors, sizes and designs are also easy to accommodate with preprinted LPN labels.